Six women come together in this hilarious and heartwarming story of life, love and loss in a small Louisiana parish. At the center of the group is Shelby Eatenton, newly married and joyfully pregnant, despite the fact that her diabetes could make childbirth life-threatening. Terrified and angry at the possibility of losing her only daughter, M’Lynn Eatenton looks to her four closest friends for strength and laughter as she battles her deepest fear of death in order to join Shelby in celebrating the miracle of new life. 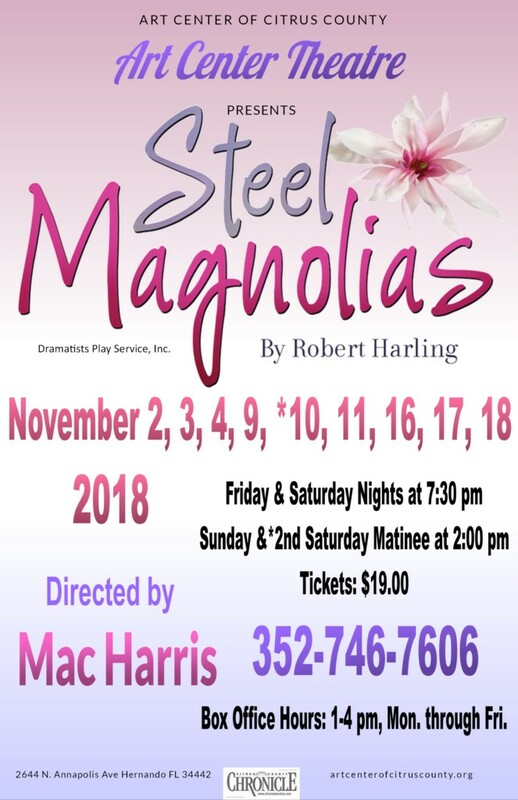 This entry was posted in Art Center Theatre, News and tagged Mac Harris, Steel Magnolias on October 8, 2018 by Art Center.